Merely casual acquaintances of French literature will likely associate the name Colette with her short story “Gigi” – or rather, the flouncy musical film adaptation thereof that swept the board at the 1958 Academy Awards. A sunny, sanitized interpretation of an intricate study in sexual politics, it captured the author’s sensibility in its lavish set-dressing, but little else. I doubt 1950’s Hollywood would have known where to begin with “Chéri,” a darker portrait of the louche demimonde of Parisian courtesans – and we are close to finding out if they do even now. Certainly, those who approach the novel with the jolly peals of laughter from the meringue-light trailer for Stephen Frears’ upcoming film still ringing in their ears, may be taken off-guard by the elegiac, often cruel comedy of manners that awaits them. Though “Chéri” is a slender, subtle volume, it’s easy to see what drew Frears and screenwriter Christopher Hampton to the material. Much like their previous collaboration, 1988’s “Dangerous Liaisons” (and other Hampton works such as “Atonement” and “Total Eclipse”), this is a story of sexual awakening gone awry — which is not to say that the novel lacks for romance. Amid the rueful cynicism lies a rather tender love story between two people who only realize they are in love a full six years into their relationship. The affair between Fred, an aimless 25 year-old dandy known to all by his family nickname Chéri, and Léa, a wealthy courtesan twice his age, is introduced in the novel as a pragmatic transaction: the beautiful yet increasingly insecure Léa feeds vicariously off her lover’s youth, offering material rewards and a sexual (if not sentimental) education in exchange. As such, “Chéri” is truly a coming of age story, a gender-reversed “Pygmalion” even, in which an older, more worldly woman grooms a boy for marriage, before releasing him into gentlemanly society. The twist comes when, the ink barely dry on the certificate of his marriage to sweet, shy debutante Edmée, Chéri discovers that carnal and sensual affections are not merely transferrable between different women. Léa, meanwhile, having undertaken this schooling for multiple men in her career and living by the philosophy that “being disinterested is its own reward,” realizes that she’s more emotionally invested in Chéri’s maturation than she knew at the time. Controversial in 1920 for its questioning of social codes governing age, gender and sexuality, the novel’s social critique remains piquant today, when tabloids still generate a lot of column inches from relationships between older women and younger men. Colette’s own stance is ambiguous: she rues the social strictures that put a sell-by date on Chéri and Léa’s relationship, yet is openly appalled by another couple with an even wider age chasm. 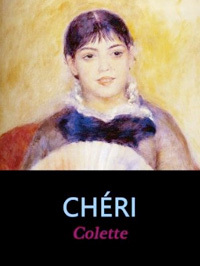 Similarly, Chéri is chided for his effeminate prizing of material luxuries, yet Colette openly delights in the same, often downplaying dramatic incident in favor of richly textured environmental detail, down to each last sapphire hairclip and rose-pink drape. Her vividly sensual prose may make the novel a production designer’s dream — and given what we’ve seen of the film thus far, it seems a likely awards contender in the design categories — but there should be more at play here than simple visual splendor. That line is spoken by Chéri, and it’s a telling introduction to a character who rejects the presumed social and emotional responsibilities – a profession and financial independence among them – of adult men in favour of the vanity and subservience more expected of women in his time. An unabashed metrosexual born a full century before that contemporary buzzword was ever coined, he’s a fascinatingly transparent, capricious figure that chimes in cannily with a similarly undefined strain of 21st-century masculinity. He therefore finds ideal casting in the fey, faintly androgynous shape of Rupert Friend, who brought a similarly contemporary petulance to “The Young Victoria” earlier this year. Like his contemporary Ben Whishaw (who could just as easily have slotted in here), Friend is ushering in a newly delicate breed of leading man to our screens, and if the film retains the acuity of Colette’s characterization, this could be a prescient role for the actor. It should be said, however, that the character is afforded more dramatic nuance in “The Last of Chéri,” Colette’s 1926 sequel that follows the older, embittered Chéri through the social malaise of post-war Paris. It would appear that Hampton has fleetingly incorporated this text into his adaptation by means of a brief coda, though I question the wisdom of that: the novels each work towards such satisfying, emotionally contrasting denouements that I fear placing the two in one narrative will dilute the effect. It’s a devastating emotional about-face, comparable in some ways to the mortified self-realization of Glenn Close’s Madame de Merteuil in the closing beats of “Dangerous Liaisons,” and affords Pfeiffer her most challenging dramatic brief in well over a decade. She should have a strong foil, too, in Kathy Bates, who should relish the role of the surreptitiously acerbic Madame Peloux – Chéri’s doting mother and a longtime associate of Léa. In many ways, the two women have the most elusive and intriguing relationship in the novel. They describe themselves as friends, though they mutually despise each other, while Peloux’s complicit stand on Chéri ’s affair with Léa is deliciously unreadable. She professes approval of Léa’s “raising” of her own son – suffice to say the mother-son-lover triangle is a Freudian minefield — yet simultaneously delights in the inevitability of their separation. As such exchanges reveal, there is plenty of room for Frears and Hampton to go the same jauntily comedic route with “Chéri” that Vincente Minnelli (not to mention Lerner and Loewe) did with “Gigi” over 50 years ago. Colette’s prose is so ornamental, and her dialogue so tangy, that it’s relatively easy to skirt the bitterly ironic tone and subtle dramatic tensions underpinning the whole. To do so, however, would be a missed opportunity: in an era where expectations of gender, age and even material wealth are very much under revision, a faithful, incisive adaptation of this marvellous novel couldn’t come at a more opportune moment. I had read the novel some time ago, before I knew it was going to be made a film, and I have to say I saw it adapted more like a play. There’s not much action in it and a lot of the stuff goes on in the minds of the characters. Very hard to put it on screen and I’m not very keen on hearing a voiceover explaining what everybody is thinking (or not). Interesting that you should say that, since Colette herself penned a stage adaptation of the novel in the 1920’s that apparently took a more broadly comedic spin on the story. I also don’t understand the need to include “the last of Chéri” in the film. The novel is whole in and of itself, even if they are published together. This movie is not going to be nominated for anything. Why? Because Miramax won’t be around to push it for awards. Plus I’ve heard it didn’t come out all that great. Why would Miramax not be around? I really didn’t like the film, but I haven’t read the source material yet. Still I doubt that that will make the film any better in my mind.